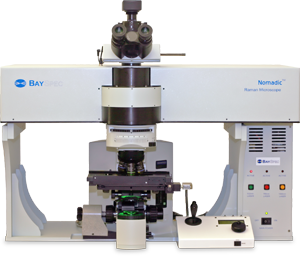 From transportable systems operating in the field to ultra-sensitive confocal microscopy systems inside the research laboratory, BaySpec has a Raman microscope to meet your needs. 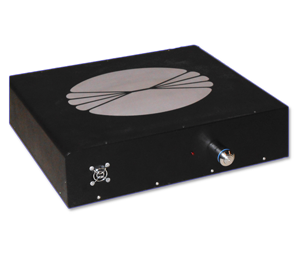 Raman spectroscopy is a powerful, nondestructive, in situ technique for chemical and structural identification at the molecular level based upon the molecular and crystal lattice bond vibrations. 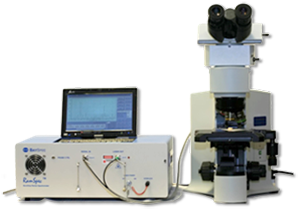 When coupled with confocal microscopy, it enables discovery and identification at a spatial resolution up to 0.2 μm with extremely high chemical specificity. 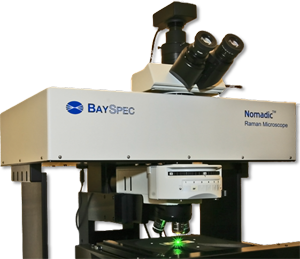 Nomadic™ Raman microscopes enable in situ chemical mapping, which quantitatively reveals the differences in chemical compositions and structures at micro-scale – features that are often completely invisible in other optical imaging methods.